What — a user’s guide to insomnia? Yes. With some 30 to 40 percent of Americans experiencing insomnia at least occasionally, we thought a guide to the condition might be a good idea. In case you’re wondering, that’s about 131 million Americans who have difficulty sleeping. Those numbers are staggering, right? So, let’s dive in to insomnia — what it is, what causes it, how to prevent it and how to treat it. At its most basic, insomnia is defined as difficulty with sleeping. The term encompasses both a difficulty falling asleep and a difficulty staying asleep. Those two types of insomnia have specific names. Difficulty falling asleep is known as “sleep onset insomnia,” while difficulty staying asleep is known as “sleep maintenance insomnia.” The latter can also cause people to wake up too early in the morning. 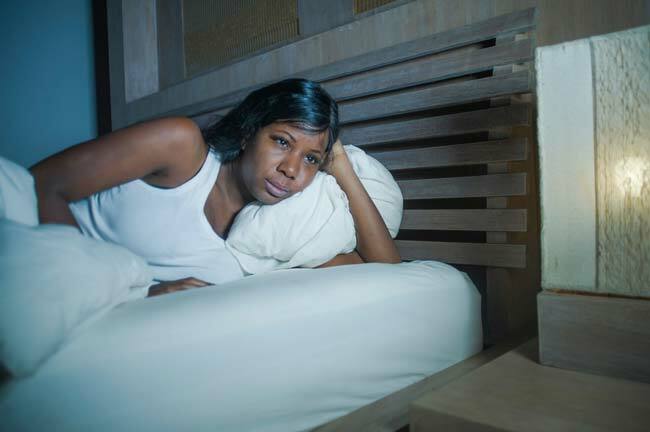 Acute insomnia impacts a person briefly. Chronic insomnia is defined as having sleep difficulties at least three nights a week for at least three months. Just like there are multiple types and categories of insomnia, there are also many different causes of insomnia. For those experiencing acute insomnia, these brief episodes of difficulty sleeping usually emerge during a challenging time, such as a stressful period at work or relationships troubles. For those with chronic insomnia, many causes may be to blame. Unhealthy sleep habits are one common reason for sleep difficulties, but shift work, clinical disorders, certain medications and environmental changes can also lead to a pattern of poor sleep. Common medical conditions such as seasonal allergies, acid reflux, arthritis and back pain are all also common causes of insomnia. Insomnia can lead to sleep deprivation, and sleep deprivation can negatively impact every single part of the body. Experts recommend that adults get seven to nine hours of sleep each night. When something causes a person to get less sleep, sleep deprivation can occur. If you’re experiencing sleep deprivation due to insomnia, you may notice excessive sleepiness or daytime fatigue, yawning, and irritability, among other symptoms. Is there a way to prevent insomnia? In some cases, yes. You can incorporate certain lifestyle habits and changes that make insomnia less likely. Make the bedroom an inviting environment. Choose a supportive mattress and a good pillow. Keep the room as clutter-free as possible. Turn down the temp at bedtime. Most people sleep best when the room temperature is between 60 and 68 degrees. Establish a bedtime for yourself. Yes, you’re an adult. But you can still benefit from a regular sleep/wake schedule. Choose a time that will give you the recommended amount of sleep and consistently go to bed at that time. Help your body wind down. Limit your consumption of alcohol and caffeine within a few hours of bedtime. Do something calming in the hour or so before you go to bed, like reading, taking a bath or meditating. Exercise, but not too late. Physical activity benefits the body and can help fatigue your mind and body, which will help you sleep. But…avoid doing it too close to bedtime, since rigorous activity can make it hard to wind down. If changing your lifestyle habits doesn’t help ease your insomnia, your doctor may have other suggestions for treating the condition. Treatment for insomnia may include treatment of the underlying condition (like acid reflux or allergies), changes to a medication regimen, medications to help you sleep, or behavioral or cognitive therapies. Sometimes a combination of multiple treatment methods is necessary to find relief and get quality sleep. Experiencing insomnia? Talking with your doctor is the first step toward getting the sleep you need. He or she may refer you to the Sleep Disorders Center at Erlanger North Hospital.